Eid al-Kabir translates directly as “The Big Holiday” in Arabic. Every family that is financially able to do so buys a sheep to slaughter on Eid, which usually goes for about the equivalent of $200 an animal. My family decided to go big this year and bought a 3 month old calf (at more than $1000) in addition to the obligatory sheep. I came home on Monday at about 7:30pm to find the calf in the kitchen and my host family waiting for the butcher to arrive. This was the first time that the family has butchered a calf, and there was an excited and tense energy in the house. Nadia was yelling directions. Si Mohammed was busy removing pictures off the walls. The calf was pooping on the floor. And I was pushed out of the kitchen as one of the three butchers told me that non-Muslims are not allowed to witness the actual sacrifice of the animal. I later learned that this is not true, but got over my initial disappointment quickly as I shared the rest of the experience with my host family. 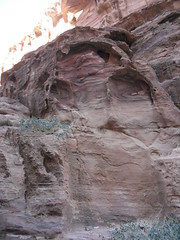 Here is an account of the process, complete with pictures and a video. Be warned, some are bloody. There was a team of three butchers in the house: two young men and the experienced master butcher. 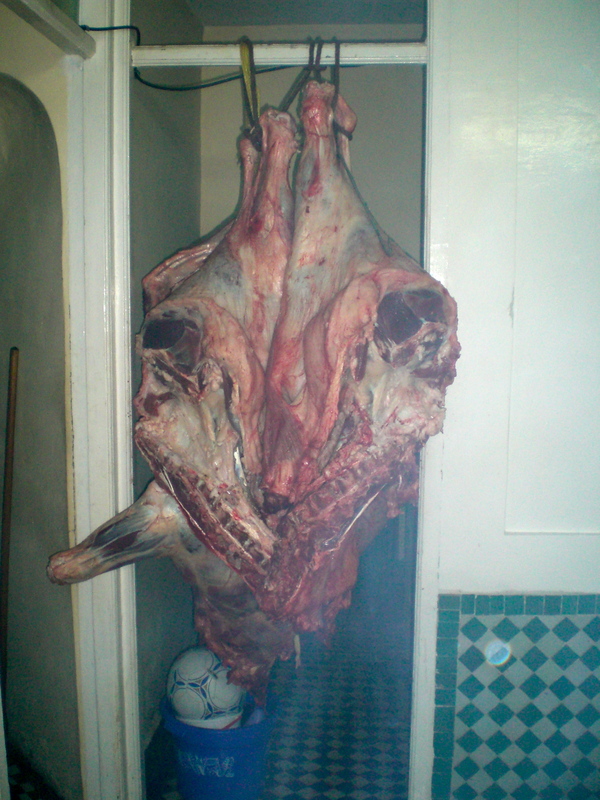 After the animal was killed and the blood was drained, the butcher began to skin the body of the calf on the kitchen floor. 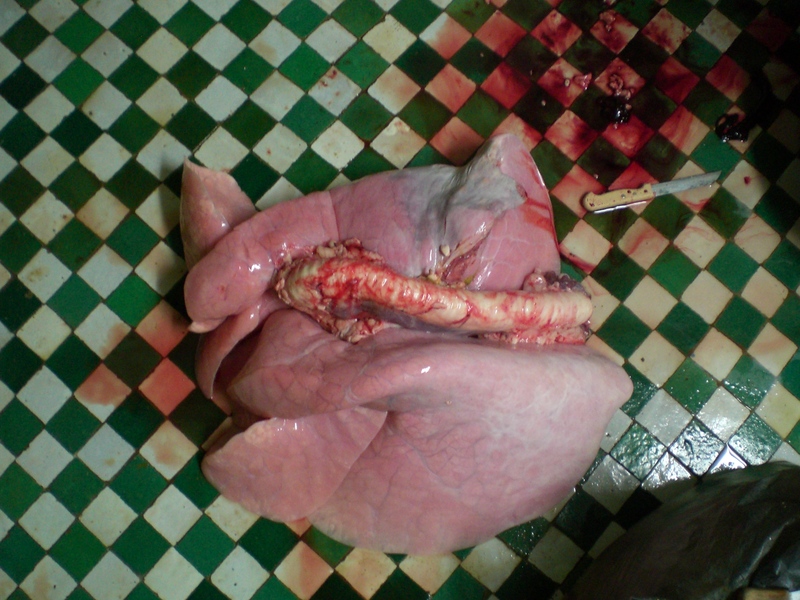 After the body was skinned, the internal cavity was opened and the butcher skillfully extracted the organs. 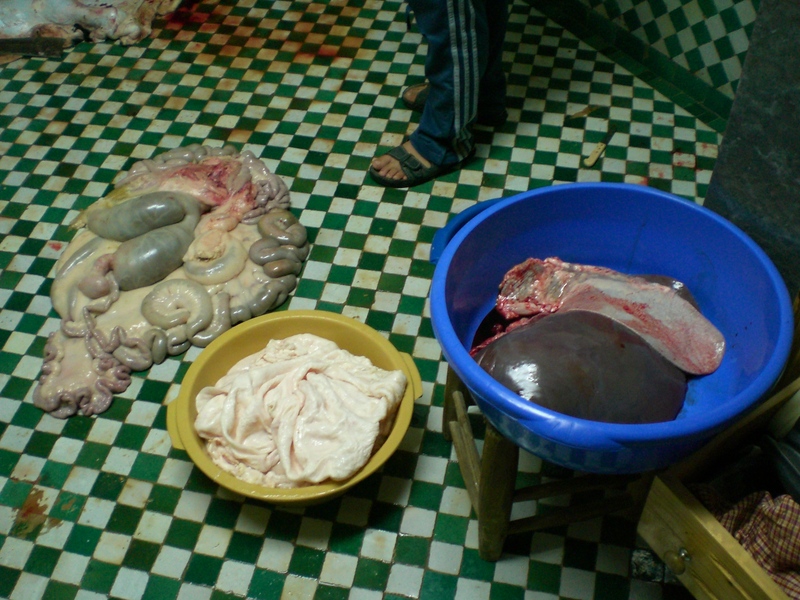 Nadia and Amina prepared the internal organs as the carcass was split into four parts. I was fascinated and very impressed watching this professional at work. He quickly and expertly skinned the calf in about 30 minutes. After a few cuts made to the muscle around the calf’s leg, he was able to snap it right off with one swift movement. He carefully removed the internal organs without accidentally nicking any of them with his sharp blade. The two younger butchers and Mustapha tied the sides of beef up, though. By midnight we were feasting on delicious fresh grilled liver and sweetbread, skewered with chunks of fat. Don’t feel bad for saying that, it was done hygienically by very efficient professionals. It was very cool and a great experience to see the process of butchering an animal as large as that calf. I gained a personal connection to where my steak came from, which is something totally new for me. do they every do fully-grown cows? Or just veal? This is just incredible. so insane that you got to watch this. I feel bad saying it, but that is pretty awesome.